Home // Blog // How Long Does It Take to Build a Sunroom? Sunroom additions are growing in popularity for many homeowners because of their potential to add home value, provide variable living space options and become a transitional lounging and entertainment area suitable for any occasion or season. Before beginning work on a new sunroom for your home, it’s important to understand the amount of time it takes to build a sunroom. Beginning your sunroom construction project early will ensure you’ll be able to enjoy your fresh, new space in time for pleasant spring and summer weather. How Long Will It Take to Install a New Sunroom? The amount of time to build a new sunroom for your home is typically quick — with completion times ranging from two to four weeks — but there are several factors that determine how long you’ll have to wait before being able to relax in the space. During a sunroom construction project, this two- to four-week timespan includes setting the foundation, framing and assembling the structure, securing the roofing, installing doors and windows, and adding updated features like electricity or heating. Company Availability: Due to the timeframe when most homeowners want to use their sunrooms, between spring and early fall, many sunroom installation companies have low availability during these peak times. To ensure your sunroom is completed when you expect, try scheduling your installation in late fall or winter, when companies have greater availability to begin your project sooner rather than later. Site Preparation: Before beginning construction, the installation team needs to check that the foundation is sturdy and, if needed, take the necessary steps to solidify the area. This step typically takes only one or two days and includes excavation of the site, leveling it and then pouring cement footings or a foundation. If the structure is poor, then more time will be needed to tear out the existing site and create a new one. Deck Building: Most new sunrooms are built on a deck structure, and building the deck takes about three or four days. However, if you’re placing your sunroom on a concrete slab, then the installation crew will skip this step. Constructing the Roof and Walls: On average, putting together the walls and roof of your new sunroom will take about four to six days. The sunroom installers begin by placing the flooring down and then adding tie-ins to connect the structure to the side of your home. The frame of your sunroom will then be assembled and the roof will be placed over the walls. Finally, the window panels and doors will be installed into the frame of the sunroom. For custom-built sunrooms, construction will likely take a few extra days if the design is more complex. Finishing Touches: With the structure of your sunroom now assembled, the installation team can begin adding those extra features you opted for, like electricity or a functional heating and cooling system. Completing these finishing touches will take an additional two days, but the added comfort of having consistent temperatures, ceiling fans, LED lighting or a television hookup will be well worth the wait. We always strive to build your sunroom efficiently, sometimes additional time is needed to ensure a quality result. Inclement weather, permitting, home inspections and approvals can often delay when a project can be completed. Despite any unexpected delays, a new sunroom for your home is less time-consuming and more enjoyable than a traditional home addition project. It’s time to begin enjoying outdoor living from the comfort of a new sunroom — contact the professionals at PAsunrooms today to start designing and installing a custom sunroom for your home. We have over 30 years of sunroom installation experience and can work with you to find a three- or four-season sunroom, pergola or conservatory addition that fits your needs and budget. 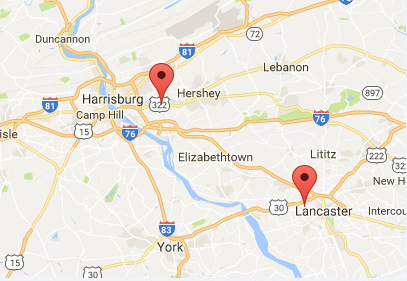 Schedule your free in-home consultation to get started today — call us at 717-564-2244 or fill out our online contact form.